• Soak the whole duck in the large pot of boiling water. • Remove it as soon as the skin changes color (after about 20 minutes). • Sprinkle the inside of the duck with sugar, salt, and five-spice powder. • Rub the skin of the duck with molasses. • Truss the duck with string and hang in an airing place for 2 hours, or put the duck in the refrigerator overnight without any cover. • This will dry the skin of the duck so that it will be crispy. • Preheat rotisserie oven to 375 degrees and bake for 45 minutes or until the skin is reddish brown. Before serving, pour hot oil over the skin to increase the crispiness. 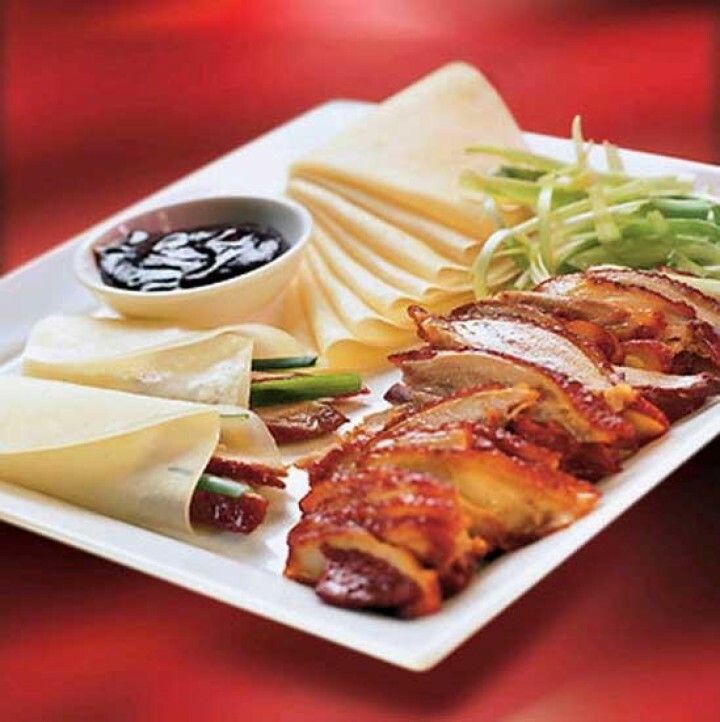 • Carve the skin and meat from the duck, and serve with Mandarin Pancakes.